Inlanta Mortgage, Inc. is pleased to announce the addition of Neil Volkmann as Branch Manager. 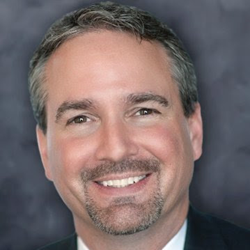 Neil C. Volkmann is a senior loan officer and branch manager with Inlanta Mortgage, Inc. His St. Louis-based mortgage banking experience started in 1988. He has personally originated, managed, and/or directed mortgage production in excess of $4 billion dollars. Volkmann’s broad background encompasses almost every facet of mortgage banking including origination, operations, secondary, and compliance. “It is my sole responsibility to provide as much guidance to debt management as it is for a financial planner to maximize return on investments. It is the spread between cost of funds (mortgage) and return on investment that creates WEALTH when a mortgage is to be used as a financial instrument,” Volkmann said. Neil Volkmann can be contacted at 314-283-5313 or neilvolkmann[at]inlanta[dot]com. Their office is located at 4700 South Lindbergh Blvd, St. Louis, MO 63126. Inlanta Mortgage continually seeks branch managers and loan officers who want to grow their business. To learn about growth opportunities, please contact Brian Jensen (Midwest) at brianjensen[at]inlanta[dot]com or 630-927-0380; or Kevin Laffey (Kansas, Missouri, and Iowa) at kevinlaffey[at]inlanta[dot]com or 913-645-4647. To learn about opportunities in other locations, visit http://www.inlantapartners.com, call 262-439-4260, or email partners[at]inlanta[dot]com. Inlanta Mortgage, Inc. NMLS #1016. Neil Volkmann, NMLS#1035072.